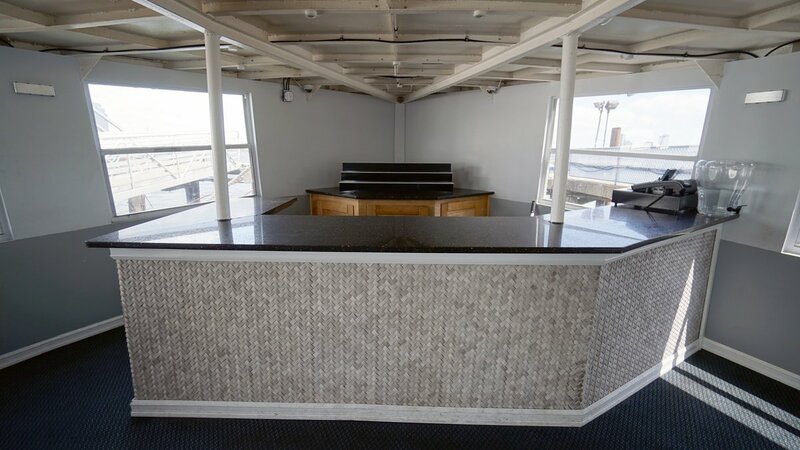 A Classic Party Boat in NYC! This boat is a beautiful mid-sized classic option and a popular choice for many different events. 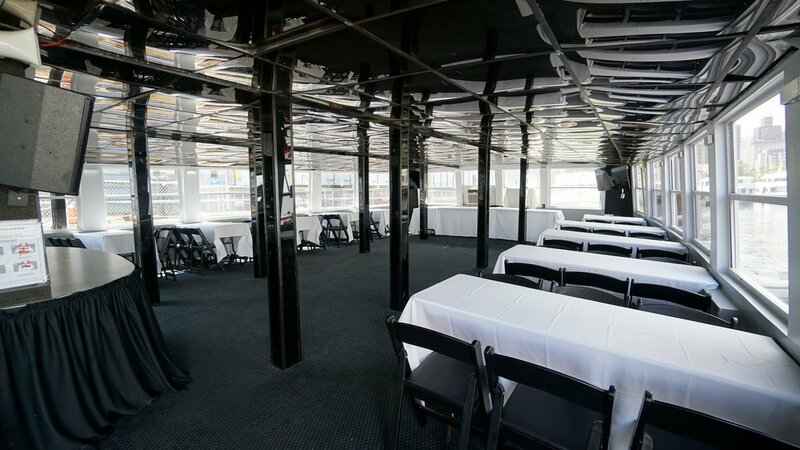 Two indoor climate-controlled decks provide enough room for up to 125 passengers. 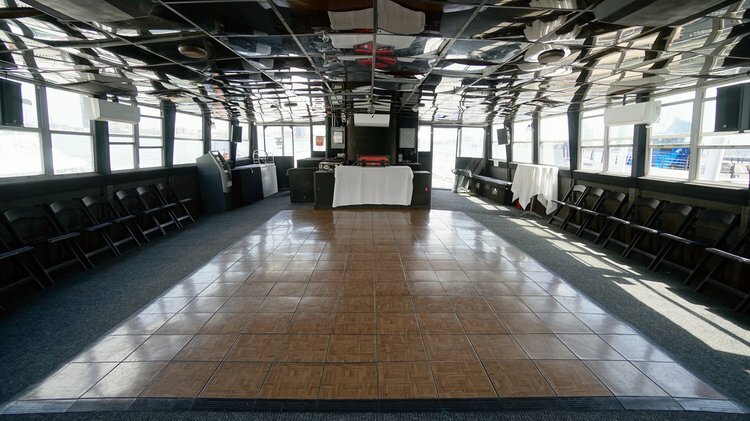 A full-sized dance floor, DJ booth, and a fully stocked bar offer a lively option for this party yacht. 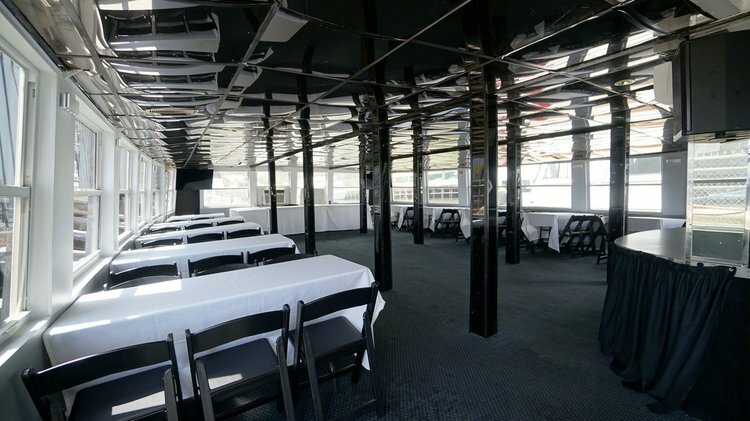 Seating can also be made available for all 125 guests for more refined outings. Because of this versatility, she is a popular choice for everything from corporate luncheons, to birthday bashes. A varied selection of buffet-style meals can be selected from our menu, with items available for all kinds of tastes. A trip aboard this 80-foot vessel provides plenty of time to take in all of New York’s unbeatable sites, socialize with guests, and relax in a luxurious setting. Prices for the boat start at $59.00 per person and we ask that you guarantee a minimum of 40 passengers. 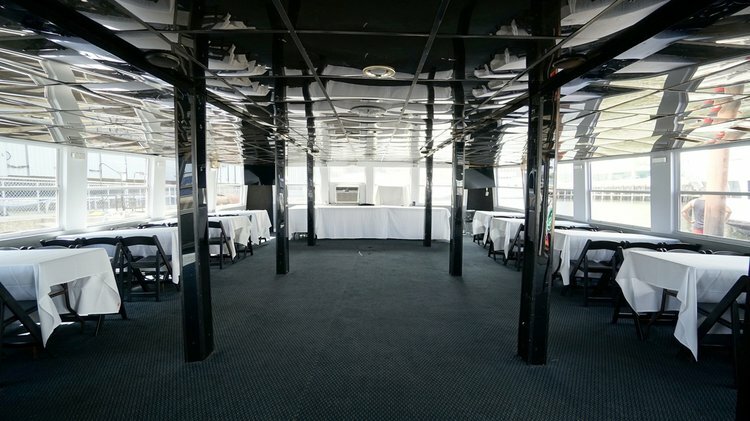 We provide 4-Hour cruises, and we depart from several ports in the New York City Area. 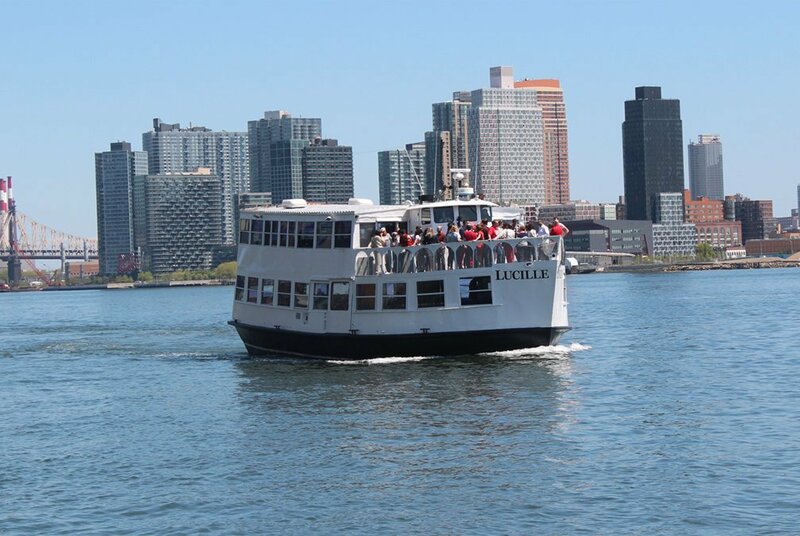 Call us today to learn more about a New York City cruise aboard the Lucille. 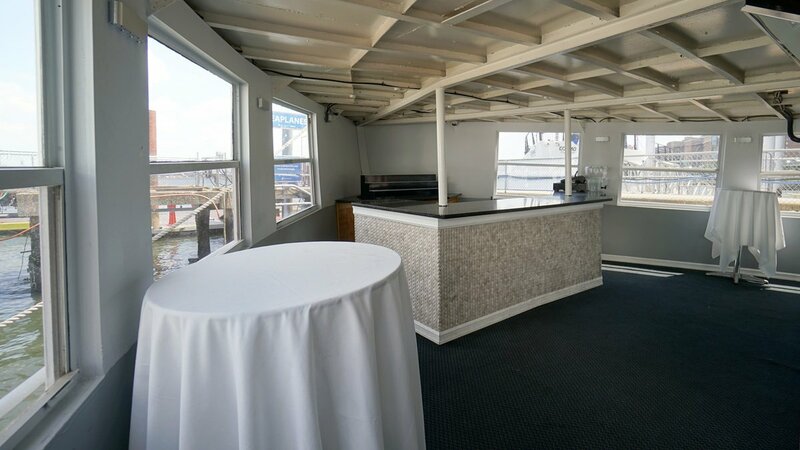 Since 2010, Empire Cruises has offered private event charters and public dinner cruises from Skyport Marina in Manhattan and World's Fair Marina in Queens. 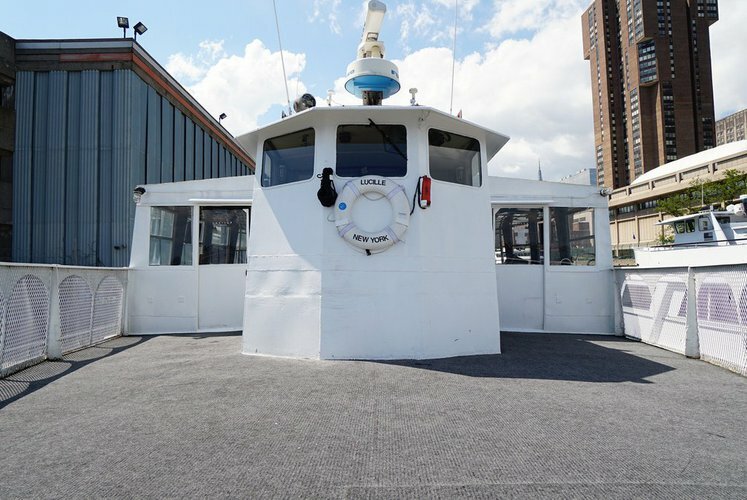 In 2014, the company expanded to Pier 36 in Basketball City and to Brooklyn Army Terminal in Brooklyn, where it operates frequent private and holiday events. The pride of Empire Cruises fleet is the 210-foot Harbor Lights. 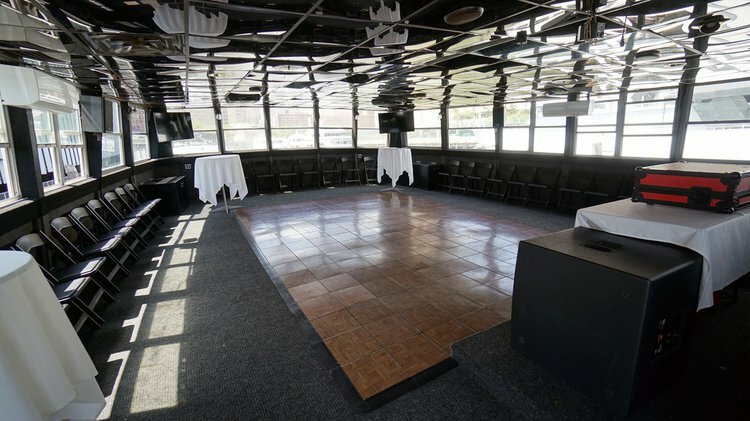 With its open bow, covered sky deck, and state-of-the-art sound and lighting systems, Harbor Lights sponsors elegance and excitement on any celebration or event. 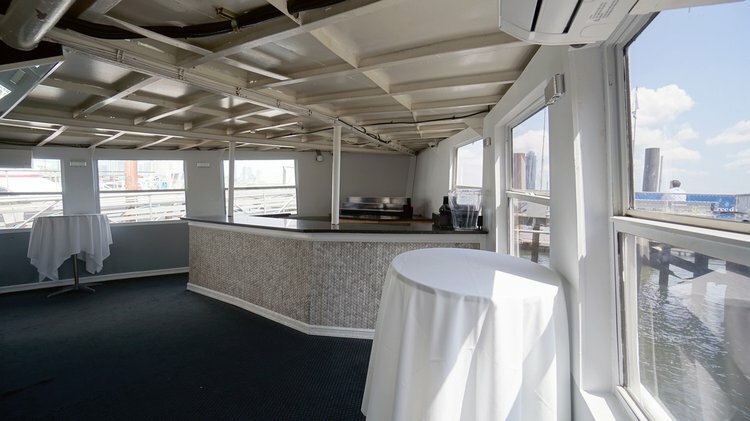 Our 148-foot Nautical Empress is the one of the city’s most popular yacht, which offers two gorgeous indoor decks and a massive outdoor deck perfect for breathtaking experiences. From corporate companies to first-time party planners looking for the perfect venue to gather, celebrate with us and be awed. Empire Cruises creates incredible experiences with unparalleled elegance aboard New York’s most affordable fleet of beautiful yachts. Step aboard today.